Custom Stained Leaded Glass Morning Glories Window. 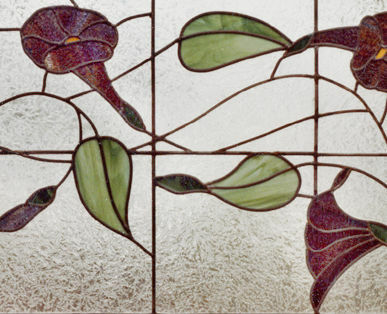 "MORNING GLORIES" CUSTOM STAINED AND LEADED GLASS WINDOW CUSTOM AT GLASS BY DESIGN. 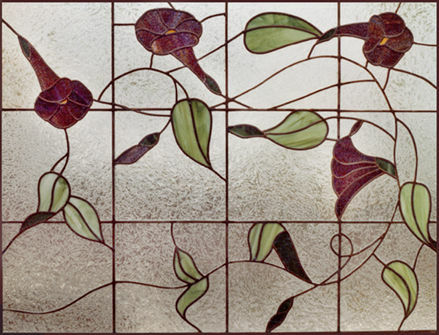 This custom stained and leaded glass morning glories window was 36" x 48". The flowers would be lovely in blue, too. This design is pretty flexible .